international and regional pilots fully decked out in the new design by the end of the year. 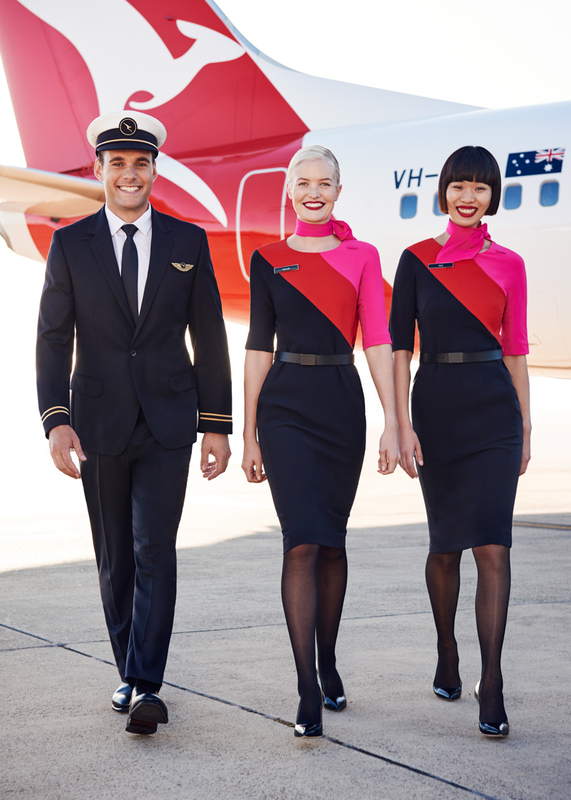 First announced a year ago, the uniforms are created by Australian fashion designer Martin Grant, who was also responsible for the Qantas flight attendants uniforms which took to the skies in 2013. The newly revealed pilot uniform features a sleek and modern single-breasted navy suit, with nostalgic design features linking back to the first Qantas pilot uniforms from the 1930s. Male pilots’ suits will come in a streamlined cut with a narrow trouser leg. Female pilots will wear a more feminine version, including a specific female tie. The fabric is lighter, the shirt is more fitted and the gold stripes used to define rank are finer to give a more elegant look. The back of the jacket also features a red vent to add a splash of colour. Harking back to the days of the Qantas seaplane and the nautical-style uniform, the hat is navy with a waterproof white top which will be appreciated by the pilots as they conduct their pre-flight aircraft walk around in all weather. The gold embroidered hat badge has been simplified using the Qantas Roo logo – the iconic symbol first introduced in 1947 to coincide with Qantas’ first services through to London. The symbol also features on the new wing badge, which has been updated in gold embroidery. 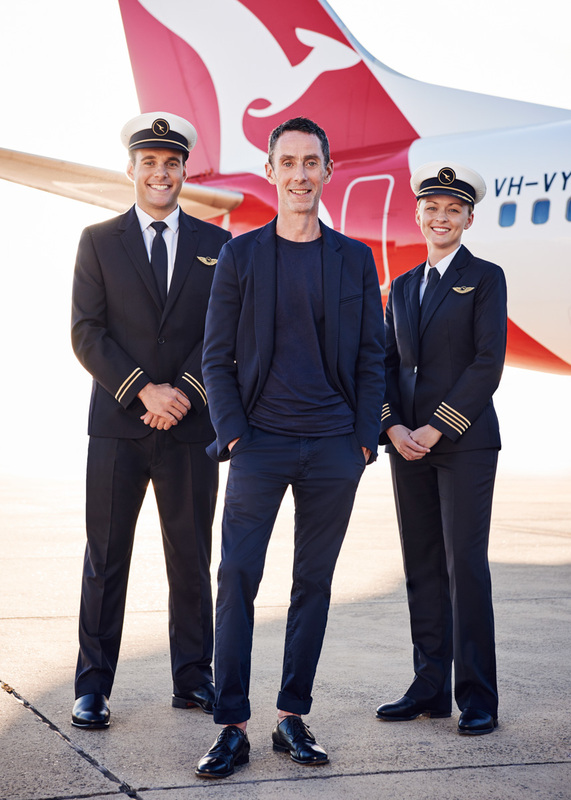 If need be, they can also wear their newly introduced water resistant Qantas trench coat in bonded lightweight wool for pilots – practical whilst maintaining the chic, tailored quality. was continuing to invest in its people.